In last week’s consultation on the future of the Scottish planning system, the Scottish Government says that it will “bring forward proposals that will require planning authorities to consult more widely, including by using methods that are likely to involve children and young people in the process” (see page 21). This could have the biggest impact of any of the reforms proposed. In 30 or 40 years’ time, involving young people in planning as a matter of course should result in places that better cater for young people and, critically, citizens and professionals who have a deep understanding and appreciation of what planning can achieve. 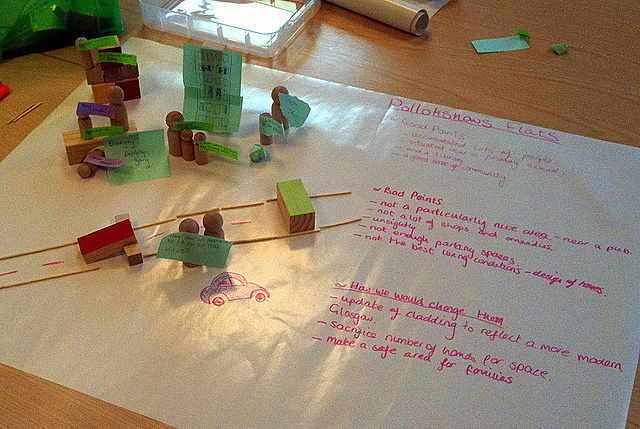 Surely that’s what really needed to resolve the many challenges around community engagement in planning? So, what might the Government propose to involve children and young people? In the collaborative spirit of the consultation, here are some suggestions from my own experience with PAS, TAYplan, Space Unlimited, the RTPI, and on many projects with young people throughout Scotland over the last decade. I’ve focussed on schools engagement. Schools offer an easy way to access young people. They are at school anyway, and it’s a learning environment. Whilst out-of-school situations like youth clubs and organised groups offer the promise of less formal engagement without the trappings of a school environment, that – in my personal experience – makes it more challenging to capture young people’s interest. 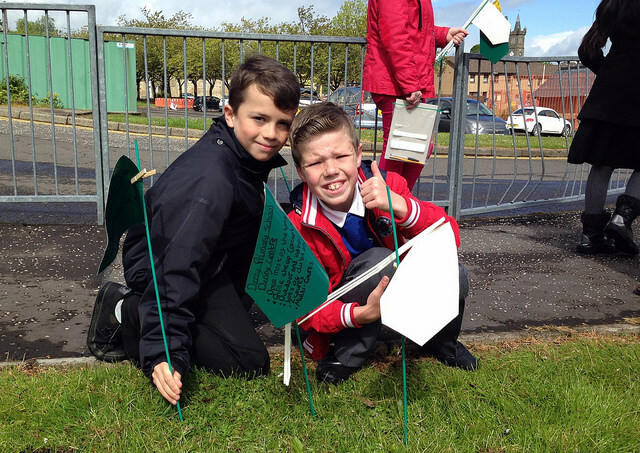 Schools are great places to get young people’s perspectives on the future of their place – for example as input to a statutory development plan, a non-statutory neighbourhood or town centre plan or strategy, or development proposals for a particular site. Planners can contribute to young people’s education – by providing opportunities for students to apply their learning in real situations, by enabling them to understand how they can shape their environment as citizens, and by linking to specific subjects (e.g. business studies, geography and environmental studies, modern studies). Overall, these things are all valuable to schools because they contribute to their delivery of the Curriculum for Excellence’s four capacities: successful learners, confident individuals, responsible citizens and effective contributors. Schools are a good route to engaging parents – you might wish specifically to ask the school to raise awareness amongst parents of opportunities for them to engage, for example using the school newsletter, parent council, a stall at the schools gates or flyers in students’ school bags. And working in schools can refresh our own professional practice – helping us communicate what planning is about and opening our eyes to fresh new ideas. How best to get in touch with schools? You can either contact them direct via head teachers or via officers in the local authority education department (such as Quality Improvement Officers). Personally I always go to headteachers. If contacting head teachers, it’s a good idea to send an introductory email explaining who you are and what you want. You can then follow it up with a phone call a couple of days later. You stand a better chance if you make clear that you not only want to get young people’s perspectives, but also to contribute to their education – in other words, demonstrating that you see it as a two-way process. How do I plan what to do with the students? First, be clear in your own mind what you want to get out of the engagement. Do you want specific ideas to include in a development plan or development proposal? Do you want to test proposals which have already been developed? Secondly, work with the teacher to design an appropriate session to get what you want. The teacher will have huge experience of working with the pupils, so if you aren’t sure how to work with young people, ask them what would work best. Remember that the teacher will want to maximise the educational outcomes for the students – as well as the planning outputs that you’ll be looking for. Be open about what you could do with students. For example, you could organise a classroom session, maybe with 2 or 3 distinct group activities over a double period; or a session with the Student Council so that you get a range of age groups. The more creative and engaging, the better: young people enjoy making posters, drawing plans, or making models with basic materials like building blocks or lego, just like the rest of us. You might even be able to organise joint schools sessions, bringing together more than one school in the same place on a joint project; or get out and about to plant flags or tie ribbons on places that young people like or don’t like; or help them develop an action project from an initial idea, such as a young people’s night at a community cinema or a skateboard park. 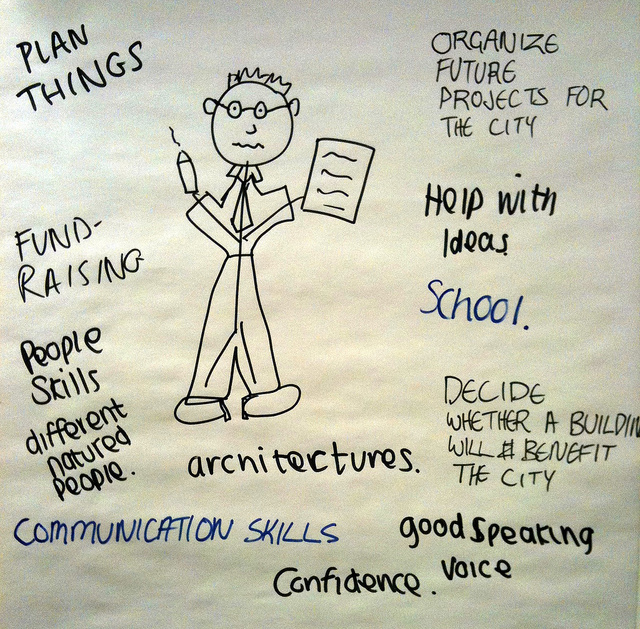 Avoid the pitfall of giving a presentation about the statutory planning system. Eyes will glaze over, yawns will start, and you’ll wish you’d never started. The goal should be to inspire and enthuse. That means getting young people to think imaginatively about what their place could be like in the future, not talking about regulation and governance. I guarantee you’ll get better intelligence for a plan by asking young people to imagine life in 20 years’ time, than by explaining development management and development planning. Everyone will have more fun too. Neither should you feel the need to restrict the discussion to land-use planning. Young people, like anybody, are more likely to be interested in all aspects of their place. It’s our job then to extract the aspirations that are relevant for our work, and to make sure that other aspirations – like jobs, culture or transport – are conveyed to those who can help deliver them. Are there any particular challenges to be aware of? You’ll need to be able to communicate in plain English! If you use jargon, you’ll be met with blank faces and a lack of interest. Working with young people is an invaluable challenge to explain planning in everyday language. If you succeed, you’ll win over a new generation to the importance of what we do. If you’re used to community engagement primarily with adults, you might be surprised how quickly young people work. You can pack a lot into an hour’s contact time if you plan it carefully. A teacher or classroom assistant should be with you at all times. They will know the students individually and be able to manage the class in the unlikely event that’s necessary – you shouldn’t be concerned about that. Generally, if there is a teacher or classroom assistant present, you won’t need a disclosure from Disclosure Scotland. If you don’t have experience of working with young people, you might want to ask other planners who have already worked in schools to give you a hand. PAS is a great source of advice and confidence, because the staff and volunteers have years of experience of working with schools on planning. Other organisations like Space Unlimited, the Children’s Parliament, Young Scot and your local authority’s community learning and development (CLD) staff are all specialists at engaging with young people, with experience from other sectors beyond planning and placemaking. So, there’s some practical advice on working with schools. If it triggers some discussion around practical ways of involving young people in planning for the government’s reforms, that’s great. 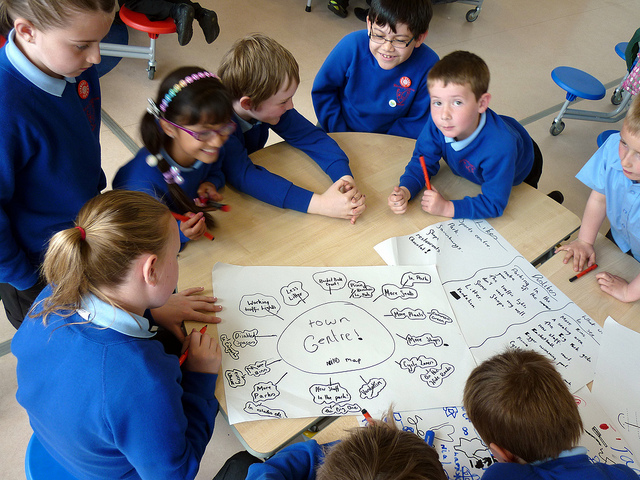 Equally – why not get in touch with a local school next week about a project that you’re working on?